Most small businesses have a lean marketing budget, and William Church Winery in Woodinville is no exception. 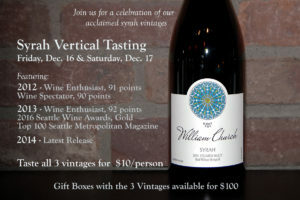 As one of the original eight “warehouse” wineries in Woodinville, William Church has a history of fine winemaking. However, they’d rather spend time with their grapes and not agonizing over how to get their message out on social media. Manager Wendy McCartney asked Bombastic for assistance in getting more out of their social media efforts, in the short term for a holiday season push, and in the long term to support a new line of wines coming in a few months. After meeting to get a detailed understanding of the upcoming promotions – and the underlying business goals – we dove into their social media accounts to pull statistics on past campaigns. Bombastic cleaned up some incorrect settings in the Facebook account, claimed and shut down a “ghost” account that a visitor had inadvertently created, and got to work creating a structured post calendar to coordinate efforts with in-house staff and management. Now everyone understood how many posts were needed, when the data showed was the best time to post them, and what users had responded to in the past. Bombastic conducted a photoshoot onsite at the tasting room, and created professional graphics for use on Facebook and Twitter. Some were whimsical, some were straight forward, and they all served to continually reinforce the branding statement for William Church and drive traffic to the winery. Bombastic even conducted an A/B messaging test to build on the company’s understanding of the most effective messages. The result? 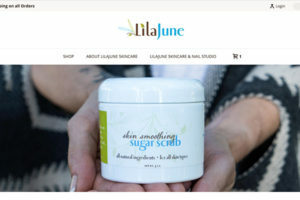 In less than three months, they saw over a 3-fold improvement in Post Reach on Facebook, and increased foot traffic in their retail locations. Lastly, Bombastic taught William Church’s staff how to use this new framework and refined message to manage their own efforts going forward. 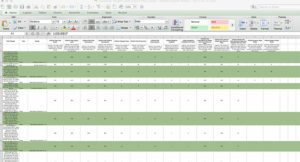 Having strengthened the foundation and created a data-informed plan, Bombastic was able to set them off on their own. William Church is now prepared to manage their day-to-day campaigns while Bombastic serves as a resource on large programs and launches.